According to the National Institute of Health Statistics national survey, neck pain is the second most common form of pain in the United States (following back pain and tied with headaches and migraines). 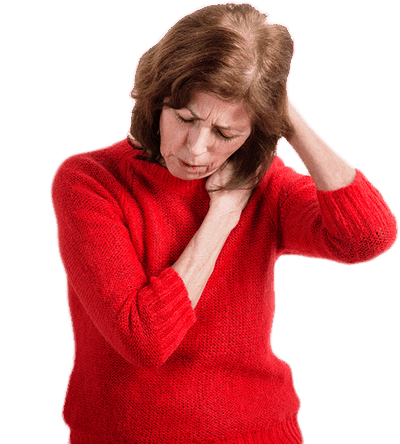 An estimated three quarters of Americans will be affected by neck pain at some point in their lifetime. Headaches are a sign from the body that something is wrong. They are not a normal part of everyday life and they are not something to ignore. So often we think the easiest thing to do when we feel a headache coming on is to reach for that bottle of pain reliever so that we can go on with our day. There is a better solution. Chiropractic help with neck & headache pain. 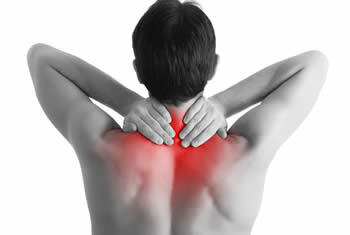 One of the most common conditions chiropractors see and treat is neck and headache pain. As experts in the musculoskeletal system, chiropractors are the ideal healthcare providers to treat problems associated with the neck. Headaches are a sign from the body that something is wrong. They are not a normal part of everyday life and they are not something to ignore. So often we think the easiest thing to do when we feel a headache coming on is to reach for that bottle of pain reliever so that we can go on with our day. Chiropractic care is a better solution. Get to the cause of the headaches and eliminate them. Approximately 90% of headaches are caused by subluxations in the upper cervical region of the spine. The trigeminal nerve is a very large nerve that runs through the brain and up either side of the head. One part of the nerve descends into the upper portions of the spinal cord and neck. This part can be pinched by problems with the vertebrae in the neck. When the brain gets a message that the trigeminal nerve is sending signals of pain, it cannot tell what the source of the pain is, and it responded by creating pain in the head. The misalignment of one or more of the vertebrae in the neck puts pressure on the nerves at the base of the skull, which causes headaches. Chiropractic adjustments restore nerve flow and relieve pressure. A chiropractic adjustment is a natural and safe way to relieve and eliminate headaches. The temporomandibular joint is commonly irritated area. This can present as jaw pain, but it can also be the cause of headaches. The joint is unique in that it consists of a disc much like that of the intervertebral disc. It also has a unique motion, which is combination of a gliding and hinge types of movements. There are also a number of muscles of that joint, including the masseter, temporalis, internal pterygoid, and external pterygoid. The joint can become imbalanced by chewing gum or food on only one side consistently, or other types of trauma. Treatment of this joint includes trigger point therapy of the involved muscles, as well as manipulation of the disc in order to correct its position. Most people with sinus problems will go straight for the over the counter drugs in order to get rid of those stuffed up sinuses. These drugs can be helpful in the short term, but they don’t come without side effects such as dryness of the sinus, nose, throat, and lungs. The best way to get relief is by draining the sinuses periodically. There are some ways to do this at home though the use of a netti pot or a warm towel to the face. As chiropractors we can use specific pressure points in order to induce a reflex that allows the sinuses to drain.